Paul Brown brings us a short movie to illustrate the range of boats taking part in the OGA Jubilee Race on Saturday 17 August 2013. Attended by 225 vessels from the UK, Netherlands, France and Belgium with around a thousand people, the weekend in Cowes was the culmination of four months of celebrations around the UK. Saturday 17 August 2013 dawned with strong winds forecast, southwesterly 13 – 27 knots, but despite the challenging weather the smaller boats took to the water, some of them well-reefed, to join the larger vessels of the fleet for one of the largest races of gaff-rigged boats seen in Cowes in modern times. Paul Brown captures the spirit of the day in this short movie. 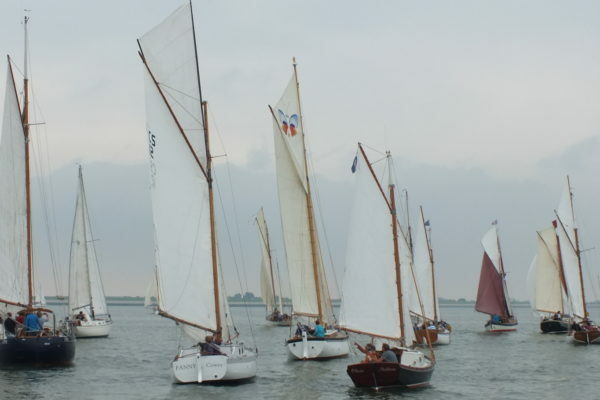 ‘Brandaen’, built in Brightlingsea, 1980, with a steel hull on the lines of the Essex racing smack, ‘Ellen’, is one of the Dutch participants taking part. She’s a real ‘eye-catcher’, being fast, stable and despite her 22 metres (60 foot) length overall can be handled for cruising by two. Today she’s taken a crew of eight, to race with the OGA. 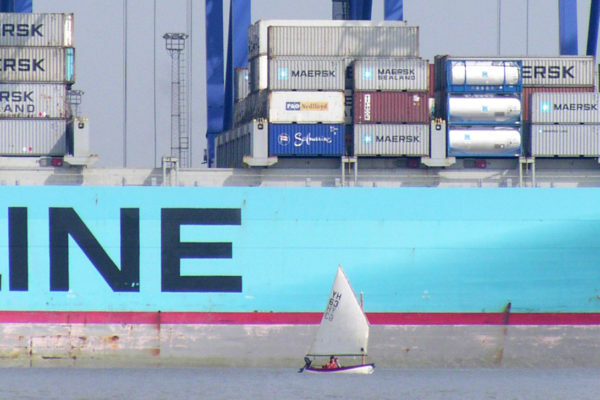 The OGA attracts a number of large vessels including racing barges. 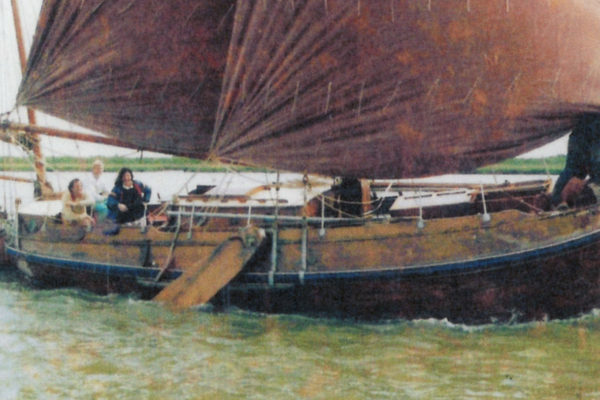 The Thames barge following ‘Brandaen’ is ‘Alice’. The camera cuts to ‘Annabel J’, the replica pilot cutter with main and topsail hoisted, which completed the Round Britain Challenge before joining the fleet in Cowes. 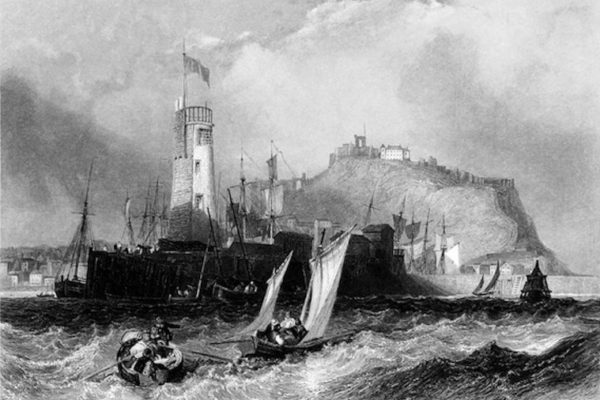 In the foreground is ‘Beeleigh’, just before losing her bowsprit forcing her retirement. 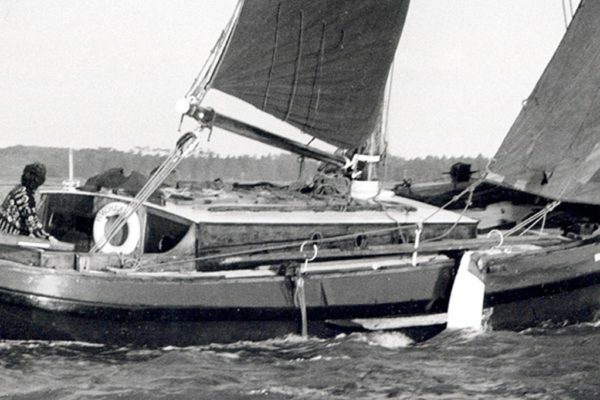 ‘Windbreker’, another steel-hulled Dutch participant, also a Round Britain Challenge boat, comes out overtaking ‘Black Rose’, a modern gaff-ketch based at Maldon on the East Coast. As all the boats in the smaller classes begin to gather alongside the larger members of the fleet the excitement of the forthcoming day is felt by skippers, crews and members of the organising committee. Hoisting her main is the 1907 West Country trading ketch ‘Irene’, the biggest boat in the race and French yawl ‘Etoile Molene’. Zipping in and around the gathering fleet are all the photographers in their ribs, vying for position to get those wonderful pictures of beautiful racing cutters, smacks, bawleys, yachts, each with an individual story to tell. As we see the tan-sails, ‘Beagle of Woodbridge’ tacks round in front of ‘Periwinkle’, the camera angle clearly shows how choppy the race will be for many of the fleet. Once underway, its certainly an exciting spectacle, as working boats challenge yachts built to race as their skippers and crews pull out all the stops to get the edge over those competing in their class. 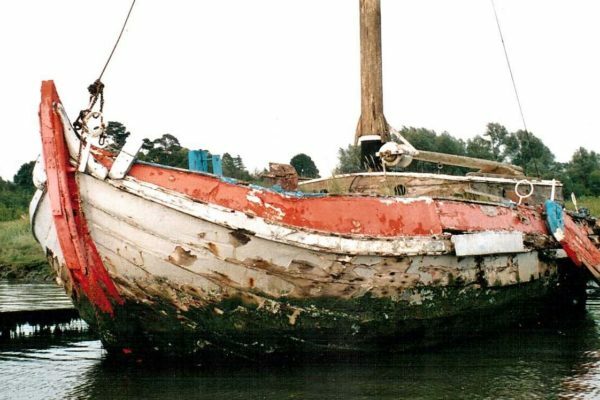 Many of these old boats are sailed like dinghies when it comes to racing. As the movie closes we see ‘Fanny of Cowes’, with her original fishing number CS12 on the sail, crew on the rail, as she storms through the waves. 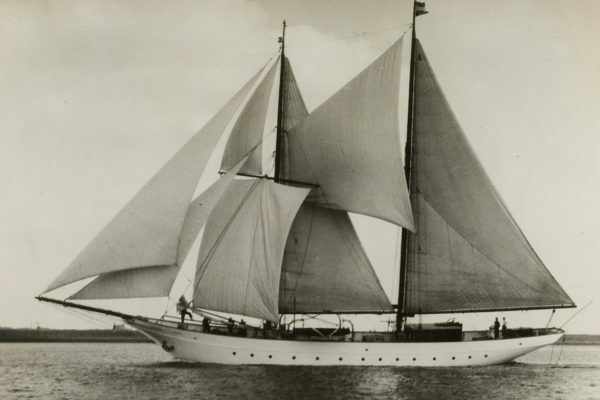 Originally built in 1872, an Itchen Ferry working boat, she’s been renowned as a fast sailing yacht since the 1960s, winning numerous trophies on the Solent and East Coast. As the movie closes, our cameraman takes a long shot across the Cowes Yacht Haven Marina where 200 boats had been gathered to celebrate the OGA’s 50th anniversary.